All credit to Lars Ulrik Mortensen and his collaborators in continuing their work to present neglected Danish symphonies of the late eighteenth and early nineteenth centuries. Gerson�s overture will instantly fall into place for you if you know the un-named Schubert overtures and the first two symphonies. There are many familiar echoes and much choice writing for the woodwind. Gerson also owed fealty to the Mozart of the Marriage of Figaro overture, the Haffner symphony and the famous G minor symphony. It�s all very entertaining and easy to like. Turning to the Gerson symphony we hear again the influence of Mozart and this time the more exalted halls of the Jupiter Symphony. It is not by any means an echoing tribute work for it has some fascinating touches including the wounded cries of the woodwind in the brass climaxes of the first movement (tr. 2, 3:00). After a tentative and tenderly delicate Andante comes a skippingly engaging Menuetto. The finale is confident and works very well in a jovial and good-naturedly regal way. Here perhaps there is a touch of stiffness and a hint of caution but I cannot work out whether this is down to the music or the playing. 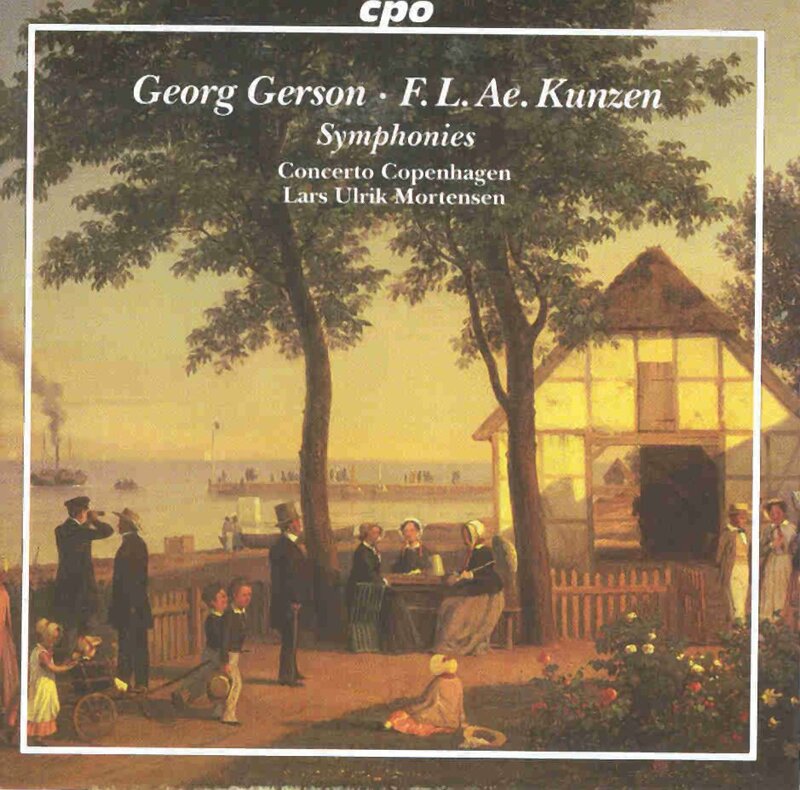 Both Gerson and Kunzen were from North Germany but spent musically productive years in Denmark. Kunzen�s symphony again apes the Mozart manner in the Allegro moderato but while the backdrop of the Andante is Mozartian there are prominent lines for the woodwind that point towards Weber. After a Haydnesque Menuetto I and II comes the fascinating Presto - full of original touches and sentiment. The firm rhythmic writing is punched home by the horns mellow but emphatic. Mozart does loom large here but then we can also hear the stirrings of voices arrogated by Weber and early Beethoven. The usual rewardingly in-depth documentation from CPO; welcome even if the writing is almost invariably slightly indigestible. If you are in the market for some delightful and freshly imagined orchestral music in the Mozartian vein then look no further.